Railpictures.ca - Paul Santos Photo: Ex Quebec North Shore & Labrador SD40-2 #253 shown here in CP’s lease fleet as HLCX 6220. It was involved in a wreck the same year and subsequently scrapped. | Railpictures.ca – Canadian Railway Photography – photographie ferroviaire Canadienne. 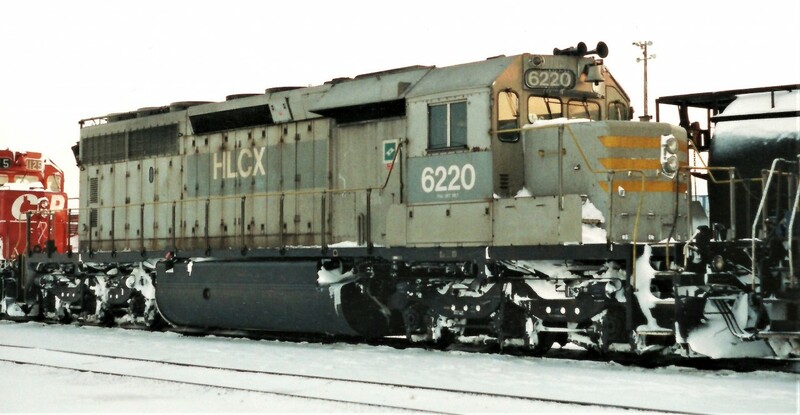 Caption: Ex Quebec North Shore & Labrador SD40-2 #253 shown here in CP's lease fleet as HLCX 6220. It was involved in a wreck the same year and subsequently scrapped.